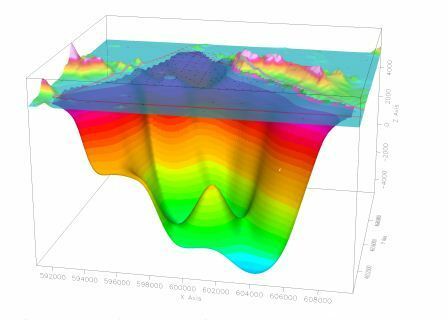 Gravity and Magnetics geophysical methods, also known as the “Potential Fields” methods, are used in natural-resource exploration to help locate mineral, petroleum and groundwater resources. They are an indirect (above ground) means of sensing the density and magnetization (physical properties) of subsurface materials for the purpose of locating faults and other lithology. Potential-field surveys can cover large areas of ground quickly and inexpensively and are, therefore, often used to identify smaller target areas for further investigation. Best methods for the information you need?